The LANCOM GE PoE+ Injector offers compelling flexibility and performance: The ability to power access points up to 100m away facilitates a flexible positioning of the access points for perfect signal coverage. 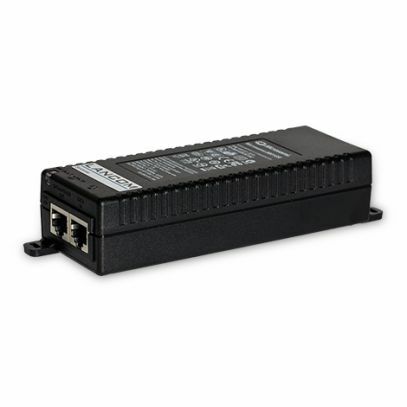 The PoE+ standard IEEE 802.3at allows even high-power devices to operate without any loss of performance. The cost-effective solution for companies requiring PoE-enabled networks.